Jefferies Orchard is located just north of Springfield, Illinois. It was settled in 1822 on ground that is still farmed by the Jefferies family. Bordered by the Sangamon River, our fertile soil grows some of the best fruits and vegetables in the state. Farming traditions handed down from generation to generation has ensured the quality that is so important. Each year brings new and better varieties of produce. 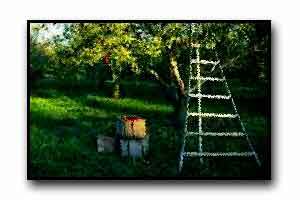 This website is dedicated to the generations of family who have farmed Jefferies Orchard, through good years and bad, always resolute in the belief that sustaining the family farm is of the utmost importance and recognizing that we are but temporary caretakers for the next generation. Take Illinois 29 North from the corner of Walnut St. and North Grand Av. in Springfield, Illinois. Approximately 5 miles North of Springfield, past Capitol Airport and the Sangamon River, turn West onto Jefferies Rd. The Jefferies Orchard Apple Market is located just off the corner on the South side of the road. From I 55 north of Springfield; take the Sherman exit (exit 105), proceed off ramp to first stop light, turn right (West), continue several miles through Sherman, across railroad tracks and through the small town of Andrew until you come to a stoplight at Route 29. Turn left (South) at light and proceed approx. 1/2 mile to Jefferies Road, turn right (West) onto Jefferies Road, Orchard entrance is first drive on the left. 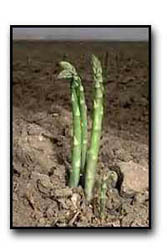 Beginning around the third week in April, the market offers asparagus, spinach and rhubarb. 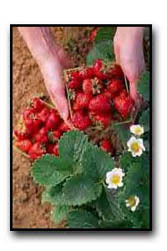 Around the last week in May depending upon the weather, pick-your-own strawberries become available. Cherries are ready for picking in June. Blueberries are available the first week in July. 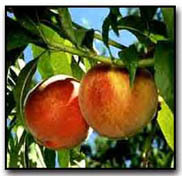 Peaches ripen in August when we also start to harvest sweet corn, melons, tomatoes, squash, cabbage, broccoli, cauliflower, peppers, garlic and cucumbers. 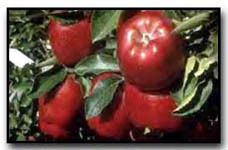 September brings apple time: Red and Yellow Delicious, Russet and Empire. 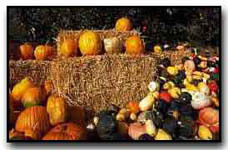 Award winning cider and wagonloads of fall decorating items including pumpkins, Indian corn and winter squash usually last until Thanksgiving. Every year can be a little different, dependent upon the weather, so please call, e-mail us or stop by and see what's in season.